Champion Heating Ltd specialize in Warm Water Heating Systems including Underfloor Heating, Radiator Central Heating and Solar Hot Water Heating Systems. Warm Water Central Heating systems are designed to heat your whole house efficiently with maximum temperature control in all areas. 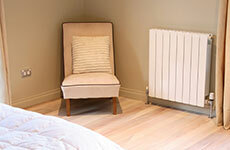 To provide a lovely comfortable radiant heat throughout all areas of the home. New Zealand had moved on a great deal in the last 20 years but many kiwis still think all they need is an open fire in their living area and they are happy going to bed in a cold damp bedroom with an extra pair of socks on and a woolly hat for an 8 hours sleep! It is possible now to have a complete heating solution for your home that is a reasonable cost to install and is efficient to run. Floor Heating using low temperature water to create a radiant concrete base to your home or Radiator Heating for homes with a timber floor base or existing homes are perfect choices. What is the difference between WARM WATER HEATING SYSTEMS and WARM AIR SYSTEMS? A Warm Water system uses heated water to heat a radiant surface such as a floor or radiator and in turn heats the room. What is a warm air system? 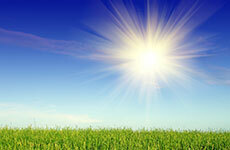 The warm air convection process involves blowing air and heating the air in a room. Warm water systems such as floor heating can be invisible. Only one heatsource is needed to heat the entire home and this can be fitted externally out of sight. Warm air systems normally involve bulky wall units or unsightly ducted grills on ceilings or walls. The outside of your property wont look much better either – multiple units to heat the home ruin the look of your property. Comfort – Warm water systems provide the most comfortable heating there is. Ever woken up in a hotel room with a dry mouth from the air con? Need we say more? 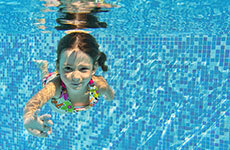 Warm water systems are the perfect choice for families concerned about asthma and allergies. Movement of air particles, drafts from an air conditioner or forced air system stir up unwanted dirt and dust. Warm water heating is silent. Noise – Even systems deemed to be “very very quiet” can still be heard blowing air around. Champion Heating offer a range of warm water UNDERFLOOR heating AND CENTRAL HEATING choices for your home. Champion Heating Systems are Council approved ensuring the building consent applications run smoothly. Champion Heating take on full responsibility for contacting and liaising with all site contractors. 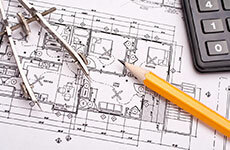 We provide colour coded heating drawings and schematical diagrams on request. Champion Heating will take on full responsibility for the complete installation and commissioning of each heating system they install. Champion Heating will take responsibility for ensuring all areas of installation comply with Building Codes and regulations. Champion Heating always provide homeowners with a “Customer Education” visit ensuring they know how to use their new heating system. Champion Heating Ltd will service and maintain systems all of their systems installed. Details of all clients heating system and components are kept on a tailor-made Service Database system. "Tony and his team were great to deal with, and always offered all the alternatives that were available. We had our own ideas of what we wanted, and how we wanted to operate the heating system; Tony was happy to adapt to what we wanted. Everything has worked out very well. We have a lovely warm house through the middle of winter. We have no hesitation in recommending Champion Heating for underfloor heating projects. Builder, Architect, Engineer or Trade? Sign up here to receive our quarterly trade newsletter detailing new products on offer and real case studies.